The following story of Sri Bhagavan Ramana Maharshi is a favorite and shows the spontaneous love from the heart the Sage of Arunachala felt for all living beings including humans, plants, animals, and birds. 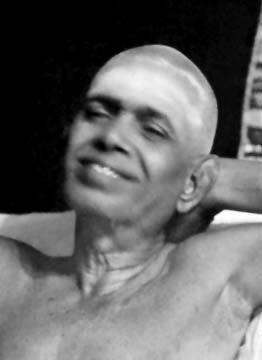 It was the early hours of the morning in the Hall of Sri Bhagavan Ramana Maharshi. Bhagavan had had His bath, and now went to the farther end of the Hall to take His towel that hung from a horizontally suspended bamboo, at one end of which a sparrow had built her nest and laid therein three or four eggs. In the process of taking His towel Sri Bhagavan’s hand came against the nest, which shook violently, so that one of the eggs dropped down. In this way the egg was cracked. So saying, Bhagavan took a piece of cloth, wetted it, wrapped it around the broken egg, and put it back in the mother’s nest. Every three hours He would take out the cracked egg, remove the cloth, place the egg on His roseate palm, and gaze at it with His tender eyes for minutes together. A few more days pass, and at length one fine morning Bhagavan finds the egg has been hatched and the little bird has come out. With gleeful smiling face radiant with the usual light, He takes the child in His hand, caresses it with lips, stroking it with His soft hand, and passes it on for all the bystanders to admire. He receives it back at last into His own hands, and is so happy that one little germ of life has been able to evolve in spite of the unhappy accident to it in the embryo. Is it not the heart of the real Buddha which shed first tears of anxiety at the crack in the eggshell and then tears of joy at the birth of the new-born babe? Could the milk of kindness ever be seen or conceived of sweeter than this? How Heartful Story!…Thank You for sharing.